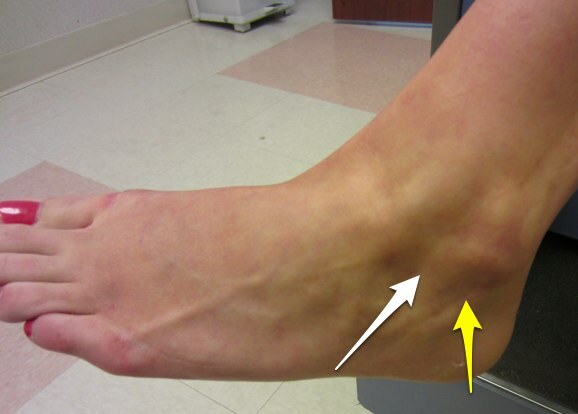 Lateral ankle instability can result from an ankle sprain where the anterior talofibular ligament and sometimes the calcaneofibular ligament do not heal completely. Lateral ankle instability often describes a chronic condition where these ligaments are unstable. Symptoms of giving way with normal walking or walking on uneven surfaces are common in these athletes. The sports medicine physician or foot and ankle surgeon can usually make the diagnosis by physical exam. Stress tests of the specific lateral ankle ligaments can demonstrate laxity of these ligaments and recreate the symptoms. X-rays and MRIs to evaluate the status of the ligaments can be necessary. Treatment initially focuses on rehabilitation, strengthening of the surrounding muscles of the ankle, and functional activities. Bracing and orthotics can be tried with some success. If nonsurgical treatments do not help, surgery to repair or reconstruct the lateral ankle ligaments can be necessary. Return to sports can be lengthy, especially if surgery is necessary.